A simple counterweight balanced on a stainless armature allows the sculpture to move with the wind and come back to rest centrally. Jets of water make a light spray at the base which in the sun produces a rainbow. Materials: Carbon fibre, stainless steel, resin and a sophisticated type of polystyrene. Marble base. 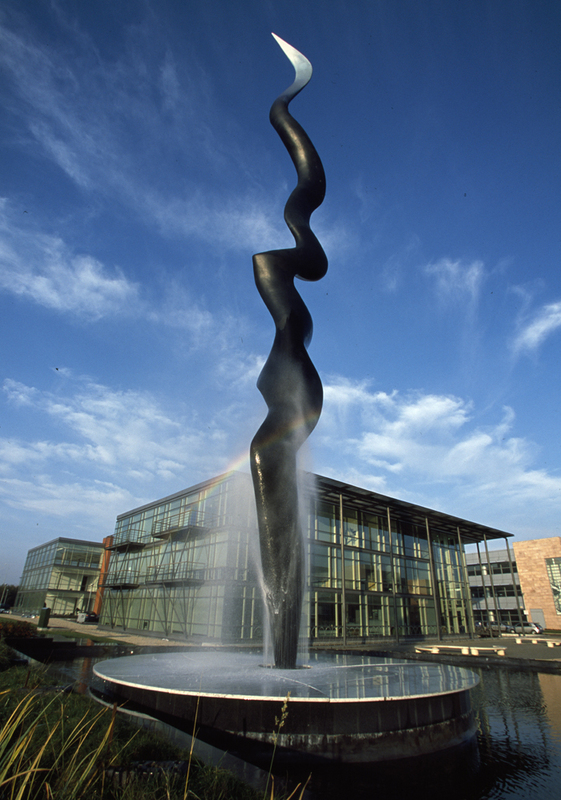 Commissioned by Pat Doherty - permanently installed at Park West Plaza, Dublin, Ireland.